An international team released 2018 ocean heat content observations in Advances in Atmospheric Sciences on January 16, 2019. The newly available observations show that the year 2018 is the hottest year ever recorded for the global ocean, as evident in its highest ocean heat content since 1950s in the upper 2000m. Compared to the average value measured from 1981 to 2010, the 2018 ocean heat anomaly is approximately 19.67 x 1022 Joules, a unit measure for heat. This heat increase in 2018 relative to 2017 is ~388 times more than the total electricity generated by China in 2017, and ~ 100 million times more than the Hiroshima bomb. The years 2017, 2015, 2016 and 2014 came in just after 2018 in order of decreasing ocean heat content. 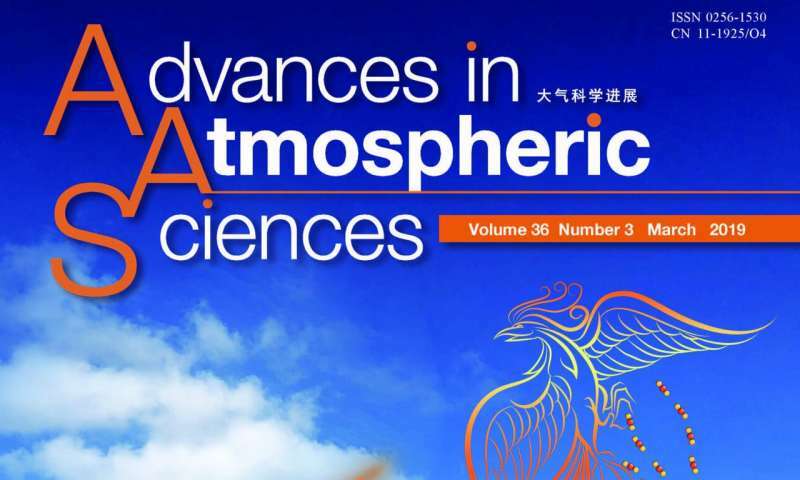 The values are based on an ocean temperature analysis product conducted by the Institute of Atmospheric Physics (IAP) at Chinese Academy of Sciences. The new study sheds light on how much oceanic water temperatures have been changing over the years. The change in ocean heat content is considered to be one of the best—if not the best—way to measure climate change driven by greenhouse gases emitted by human activities. This is because the global warming is driven by the Earth's energy imbalance due to more greenhouse gases in the air. The vast majority (more than 90 percent) of global warming heat is deposited in the world's oceans. Also, ocean temperature is less impacted by natural fluctuations, and is a robust indicator of climate change. Therefore, this record-breaking ocean heat record serves as direct evidence for global warming and represents a basis for adaptation to and mitigation of climate change. "The new data, together with a rich body of literature, serve as an additional warning to both the government and the general public that we are experiencing inevitable global warming. The ocean and global warming have already taken place and caused serious damage and losses to both the economy and society," says Dr. Lijing Cheng, the lead author of the report. He also recommends additional actions to be taken immediately in order to minimize future warming trends. Along those lines, increases in ocean heat also have severe consequences for the global weather system because they result in much more intense storms and heavy rains. Other consequences of increasing ocean water temperatures include bleaching and death of corals, melting sea ice, increasing marine heat waves, or long periods of extreme war mesa surface temperatures, as well as impacts on natural variability. Ocean heating has also been connected to increased drought intensity, heat waves as well as risk to wildlife. The researcher will next focus on a deeper understanding of the effects of warmer ocean waters. As such, the IAP and collaborators will continue to monitor trends as well as focus on understanding the climate system as well as the ocean's role in it. By better understanding the potential dangers that increased ocean heat brings with it, the researchers hope to be a valuable economic resource to the fishing and tourism industries, for example. "These scientific activities will eventually serve the general public and government by enabling them to make informed decisions and thus create a better and more sustainable future for all," Cheng adds.